hidden away by a weak rain. 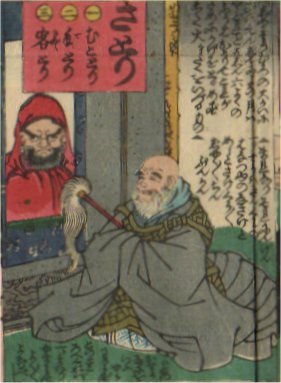 Starting from the beginning of the Edo era, there were religious districts called Jisha-chi where temple / shine magistrate reigned monks and Shinto priests independently from the town magistrate. Temple / shine magistrate is one of the most powerful 3 magistrates in the Edo government, assigned from the feudal lord. It was ranked higher than the town magistrate who was assigned from Hatamoto (Shogun's retainers), which indicates the high respects on religion in those days.